Edgar Award Nominee, Shamus nominee, a two-time Anthony Award winner, and Derringer Award Winner. 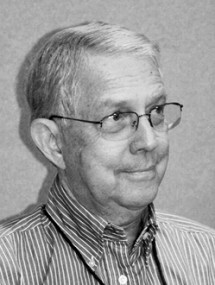 Bill Crider is a native Texan who’s lived in the state all his life, and he’s been reading, writing, and collecting mystery and western fiction for most of that time. He received a PhD from The University of Texas at Austin, where he wrote his dissertation on Dashiell Hammett, Raymond Chandler, and Ross MacDonald. He taught both high school and college before his retirement, and he combined his teaching career with his writing career, publishing more than 75 novels and an equal number of short stories. 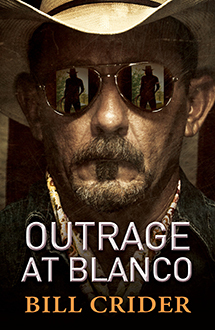 He’s best known for the Sheriff Dan Rhodes series, which features a sheriff in a small Texas county. Though contemporary in setting, the Sheriff Rhodes books have many of the qualities of the classic western. Crider has also written a number of western novels, both under his own name several house names. When he’s not writing, Crider is reading one of the thousands (and thousands) of old paperbacks that he’s collected over the years or listening to music from decades past. He prefers baseball to football, likes old-time radio shows, and sometimes watches black-and-white movies. He’s married to the lovely Judy, who has collaborated with him on several stories and who is always his first reader and editor. They live the quiet life in Alvin, Texas, a small town between Houston and Galveston.